Congratulations! Without even trying you have just become a part of some serious record breaking. Usually that type of thing requires some specific talent like typing the most books backwards (the record is 68 by the way) or the fastest 100-meter dash on ice barefoot (sounds like 17.35 seconds of sheer pain). But all you had to do was live in the District in the month of July and you became a part of a tie for the hottest month on record ever, and what could turn out to be the hottest summer ever. We admit, that takes some skill. Withstanding that much heat could probably qualify you for "most sweat-soaked T-shirts" or maybe "fastest dash to the pool." July 2010 tied July 1993 for the highest average temperature during the month at 83.1 degrees. And we just missed the highest average maximum temperature for the month, losing out to July 1999, 92.8 degrees to 92.3 degrees. But here come the big numbers. So far this meteorological summer, which started June 1, D.C. has had an average temperature of 81.8 degrees. That’s a degree warmer than any other 61-day June-July stretch. 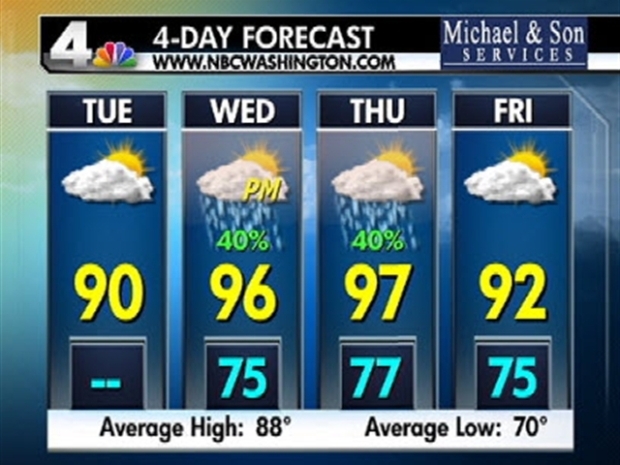 And so far this year through July, D.C. has had 44 days of 90 degrees or greater, the most out of any year, ever! 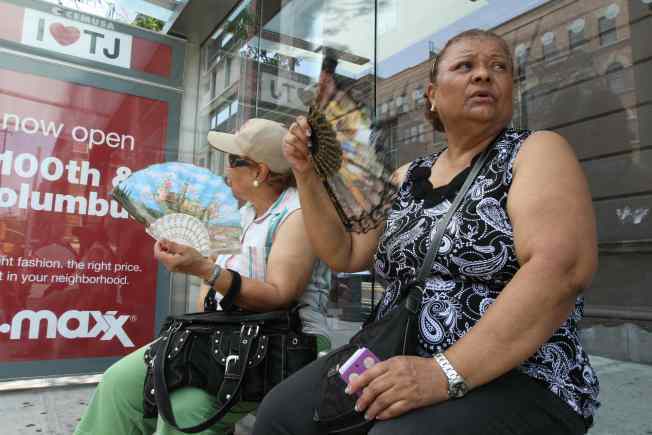 But it’s not just the number of days that we’ve had blistering heat that’s setting records. The heat arrived earlier in the day than any other year. For example, on July 6 we had seven straight hours of 100 degree or greater temperatures. That tied the mark for the most number of hours over 100 degrees set back in 1930. And on the same day the hourly temperature reached 100 degrees before noon. That was the earliest we have ever hit 100 degrees since they started recording hourly temperatures in 1921. Impressive. In all, we have been through five months of temperatures that have been more than 3.8 degrees above normal. And it didn’t stop with the heat. We had massive storms that caused widespread power outages and more than a week of major headaches. In fact July rainfall was above normal for D.C., the first month since the blizzard in February to record above-normal precipitation. Talk about extremes. Needless to say you all have been through a lot, not just this month, but also this summer. We wish we could put all of your names in the Guinness Book of World Records, but we don’t really have that kind of authority.